I especially don’t like it when this word (it’s really ugly, isn’t it?) is mentioned in the same breath with books. But I’m going to talk about it anyway because, if authors do it right, using ads in their books or other promotional materials can subsidize the cost of publishing a book, costs like great editing, great cover design and great indexing they often scrimp on. Most every author is self publishing something these days. If not their books, then e-books or white papers that help them promote their work. Many of these books are perfect for paid ads and ads in barter. 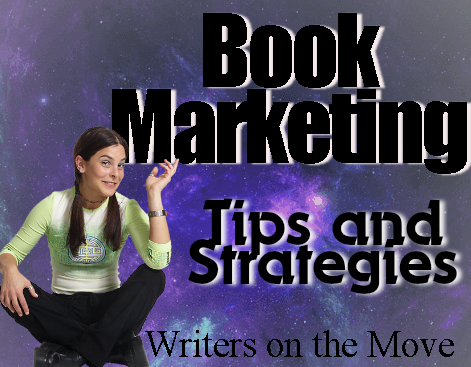 Think about trading an ad for another service you need like a blog tour, bookcover art, or printing. Ads like these are becoming more accepted if they are focused on the book’s target audience. The LA Times reports Amazon will put ads in some Kindle readers and that they then sell those readers at 18% less than the ad-free same device without ads that retails for about $114.00. Ads in disguise have been used in literary journals and other books for years. They usually come as an order page or a list (subtle or not-so-subtle) of related books that might interest a reader. Some of the ads Amazon is using will not only give you a discounted Kindle, they may give you other money-saving resources. So, if you decide to put ads into your books, how would you do it? ~Put the ads in the backmatter of your book. ~Accept only professionally produced ads. ~Accept only ads that would interest your target audience. Be prepared to refuse some with the “not quite right” phrase that literary journals use to pass on submissions. ~Limit the number of adds to just a few. ~Encourage ads that give discounts or freebies so that the ads are seen as an added value by your readers. When you use ads this way, your reader benefits. They learn about new resources and special discounts and the discounts they get may even help pay for the book (yours!) that your reader just bought. If you are uncomfortable with this idea, start small. Start with your promotional e-books. Then move on. 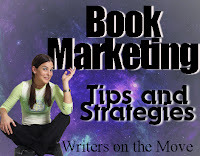 Eventually your readers may benefit from ads in your full-fledged, honest-to-goodness paperback or hardcover book! PS: Anyone with a product (yes, books are products!) or a service that would appeal to readers of The Frugal Book Promoter may e-mail me (HoJoNews@aol.com) for details of how we might partner on something like this for one of my new releases. Spaces are limited. Carolyn Howard-Johnson is a novelist, poet, and the author of the multi award-winning HowToDoItFrugally series of books for writers (http://www.howtodoitfrugally.com). That site includes a huge section of Resources for Writers. She also blogs writers’ resources at Writer’s Digest 101 Best Websites pick www.sharingwithwriters.blogspot.com. Her newest book in the #HowToDoItFrugally Series of books is How to Get Great Book Reviews Frugally and Ethically. Carolyn, what a great idea. Putting ads in the backmatter of books is a clever way of offsetting some of the costs of self-publishing. Thanks for sharing. Okay I will consider this idea for "Einsteins Compass". I wonder who would be willing to participate? Hi, Grace. In what capacity do you want participants? Kind of a JV - sharing info and links at the end of books? @graceallison, if you send me a request including links and outline of what you are looking for, I could put a call out for you under "Opportunities" in my #SharingwithWriters newsletter. I love the idea, too! I've already planned to sell Book 2 in my series at the back of my first book. Adds for other MG mystery/ghost stories would fit beautifully. Carolyn, I'm wondering what your ideas are on other types of products would fit in my series? Yay! I'm glad you are looking seriously at this, @Linda Wilson! I have indeed noticed ads in the back of books for years, I think. 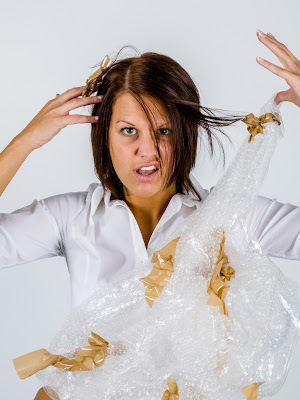 Hey, I just finished writing a 'romance' novel of 107,000 words and wonder if that'll hurt my chances of publishing it? I wanted it below 100,000 and cut 3,000 words already. Don't know about putting first chapter at end of second trilogy book...Advice? I mean it was 110,000 wds before cutting it down..
Jan, that's an interesting marketing idea. I hope Carolyn stops back to weigh in on this. Carolyn, dare I ask, what type of dollar sign is given to a possible "partner"? @author Mark Elswick, the fee should be adjusted according to what you expect in sales. Of course, sometimes that is hard to determine. When Bookbaby.com contracted with me to give away The Frugal Book Promoter as part of a promotion, they gave away 37,000 copies. So advertisers in that issue got a bargain! (-: But I suspect you are looking for more of a guidelines than that. I charge $495 for ads in my HowToDoItFrugally.com books and occasionally barter that fee for something similar in marketing services for the same book. It is an place for anyone appealing (focusing on) writers/authors. @Jan Peregrine, you mean traditionally published, right. It depends on your platform, but I'd say it diminishes your chances. Books of that size are more expensive to publish. Having said that, one of the joys of print on demand is that we get to do as we wish if want to do it ourselves these days!